PALEO JAY SMOOTHIE CAFE: PaleoJay podcast #49- WHY are we destroying our Children?? They need a Healthy Baby Code!! PaleoJay podcast #49- WHY are we destroying our Children?? They need a Healthy Baby Code!! WHY are we destroying our Children?? Or, if you subscribe via iTunes, or Downcast, or Stitcher: it is always available immediately! So, go subscribe on one of those right NOW son! a good rating on iTunes helps a LOT! I think it is a given that young children, whose bodies and minds are developing, should be given the most nutrient dense, the most very nutritionally supportive foods that we can! Traditionally, pregnant mothers have been known to require the very best nutrition, rest, and the purest environment possible to ensure a healthy, undamaged fetus and then BABY. 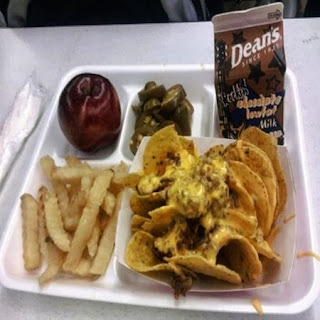 Click on this link, and be sure to look at the photos, taken by students of their school lunches. I, for one, (although I know that the Department of Agriculture, the Food Pyramid/My Plate, and the Dieticians have all been co-opted into supporting grain subsidies and the selling of big Ag’s GMO grains above all! )- Even I was utterly horrified and ashamed of what it has come to; what we are feeding our kids! What nutrition is in this crap? How can kids develop normally, or even at a sub-normal level, consuming this junk?? Obesity, diabetes, attention deficit disorder, autism.... the list goes on and on, and these diseases, that used to only strike old men are now taking down 9 and 10 year old children. So why do we put SUGAR LADEN FOODS into our very CHILDREN??? Even more so in the case of living children, since they are in the process of building their bodies, their engines of life. A car engine comes ready built, and is still destroyed by such ill treatment! The science is out- Sugar is the poison, and real food and real fat is the savior!! AND, most importantly, most Governmental Bureaucrats! In fact- it is VITAL! Chris has made a science of telling you, in detail, exactly what you need to do, what to eat and avoid to have a healthy, happy, wonderful baby! And so, if you are planning on having a child anytime soon, please get the healthy baby code! I don’t want you relying on Government administrators, and school lunch ladies to help you fix the damage done pre, and during pregnancy, because that will just not happen. Is there still any doubt that the agenda is to push grains at all costs??? Grains turn to sugar, immediately in the human body! Sugar is the direct cause of diabetes!! So why is Diabetes Self Management telling us how to shop for grains??? Money for the drug companies, that profit by keeping us sick, but (barely) alive. Money for the medical clinics, that were trained by the drug companies, that profit by treating us for diseases that are easily treated by proper nutrition and lifestyle. We have entered nutritional madness, and it is all about money! Don’t fall victim to this mindset. Take charge of you and your family’s health. Eat real foods, meat, seafood, veggies, grass fed butter, grass fed beef, pastured pork, nuts and seeds. Get what you can from LOCAL FARMS- THEY ARE THE BEST! Local farmers care about what they produce; as you should about what you eat! Let’s get back to basics- eat locally, and seasonally! You don’t need processed crap from big ag and the big grain cartels. 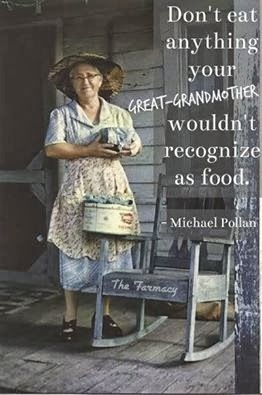 Just remember- if Great Grandma didn’t recognize it as food, IT ISN’T!! If you are ready to start a family, get the healthy baby code from Chris! And think for yourself!! Don’t let anyone else tell you what you should eat- research it yourself- go to PaleoJay- go to Chris Kresser- go to Robb Wolf, Jimmy Moore, Mark Sisson- the list goes on!